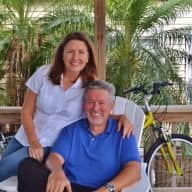 Huey and I retired a couple of years ago after working 30+ years in the corporate world of Sales, Jewelry, and Accounting. We recently bought a home near the beach in South Texas and are enjoying our new freedom and the warm weather. We are currently looking for opportunities to pamper and care for your 4-legged family members combined with traveling to see "parts unknown" throughout our beautiful country. We have been devoted and responsible pet parents to both dogs and a kitty cat that lived indoors. We lived most of our lives and raised our son in Springboro, Ohio. Huey worked as a Corporate Goldsmith Shop Supervisor for a Major Jewelry Store chain for 24 years (until it was sold) and then as a Regional Sales Manager for a number of years. During this time, I worked as an Accountant for a DOE contractor and then as a CPA in corporate accounting for the remainder of my career. As for family pets, we were blessed with a sweet kitty cat named Lucky (21 years) and later an adorable Boxer named Abby (7 years). Both were rescued from the same animal shelter and were very dear to us. They had great personalities and provided our family with much joy, laughter, and companionship. It was heart wrenching to lose Lucky and Abby to old-age and cancer. Until we find another pet, we plan to travel and care for your 4-legged family members, treating your pets as one of our own, and giving you the peace of mind to not worry about your animals or your home. Huey and I are active and fit, non-smokers, no drugs, but occasionally enjoy a glass of wine with dinner. Prior to retiring, when our family wanted to take a vacation, it was always a challenge to find someone to take care of our pets. At best, we would find a nice place that was safe and would ensure regular meals, bathroom breaks, etc. but it was still stressful for the animals and not as happy for them as staying in their familiar home. Huey and I love to travel and plan to combine house sitting with travel throughout Texas and the western US. Our mission is to eliminate your pet care worries while you are away and provide your pets with love and attention, exercise and play, and daily care in a familiar environment. We will treat your home with respect and ensure that it is clean and inviting when you walk through your door. Although we are relatively new to formal house sitting, we have lots of hands-on experience from caring for Abby, our Boxer, and Lucky, our tabby, as well as well as owning homes and rental property for over 30 years. We have a wide range of experiences that includes care taking during all life stages, including the administration of medicine. Since retiring, Huey and I have periodically watched pets for friends when they need to be away from their homes. We have greatly enjoyed being with our 4-legged friends, taking walks on the beach and making sure they are comfortable and relaxed when their pet parent is away. Knowing that all dogs and cats are unique, we strive to bond and get to know each pet based on its needs and personality and input from the pet parent. Each house sit will be treated with the utmost care to ensure that you, as homeowner, are very satisfied with the outcome and look forward to returning to happy pets and a welcoming home. Debbie and Huey live in my community and often care for my dog Sophia in their home when I am away. Most recently, Sophia stayed with them nearly a week and it was like a doggie vacation for her. I love when they text updates and pictures so we can stay connected. 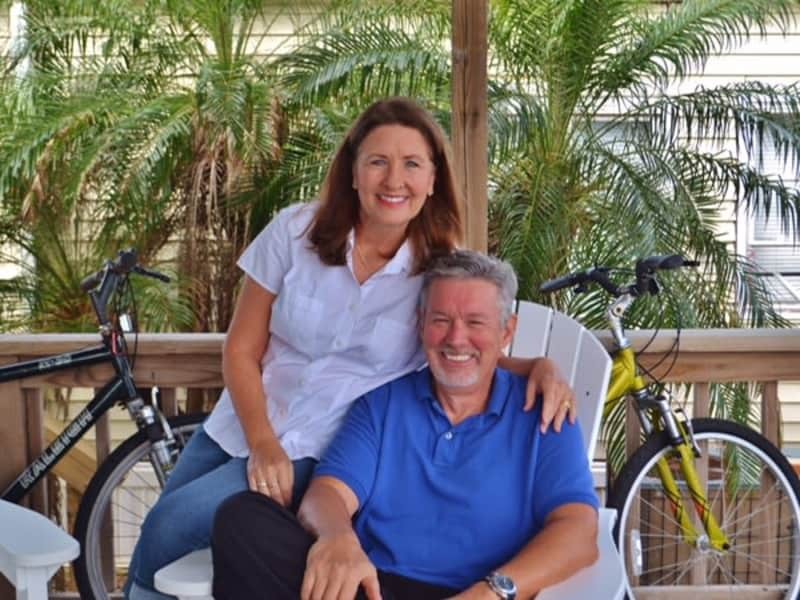 I have known Huey and Debbie for many years and know they are reliable, trustworthy, and genuine pet lovers. I would gladly recommend them for your housesitting needs.